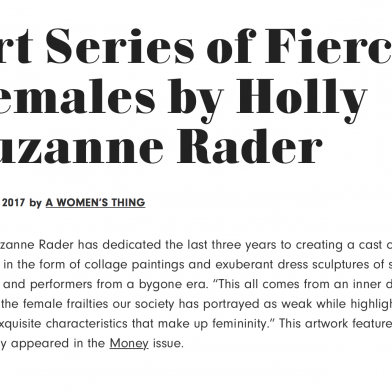 For the last three years, Holly Suzanne Rader has dedicated her time to creating a cast of fierce females in the form of collage paintings and exuberant dress sculptures. 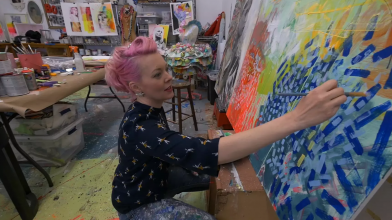 “I’ve been working to bring the vivid world I had always imagined to life. It’s been a labor of love that I plan to introduce to the world in a production as high energy and intense as the Radio City Rockettes kicking line-up." 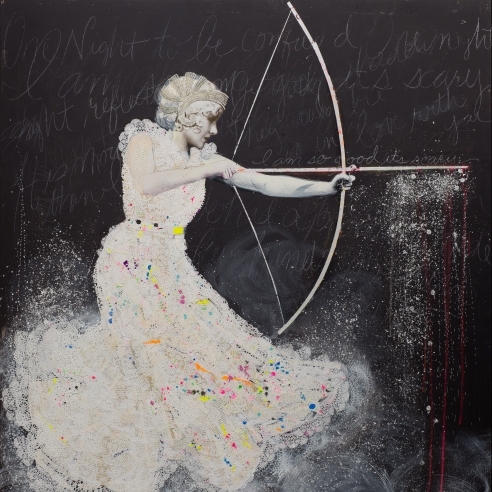 They are portraits of starlets, models, and performers from an era long gone, transformed into characters that fit her modern ideals of lavish frivolity and brazen fashion. “This all comes from an inner desire to remove the female frailties our society has portrayed as weak while highlighting all of the exquisite characteristics that make up femininity”. Born and raised in Tennessee, Holly’s family instilled in her virtues of both grace and grit. 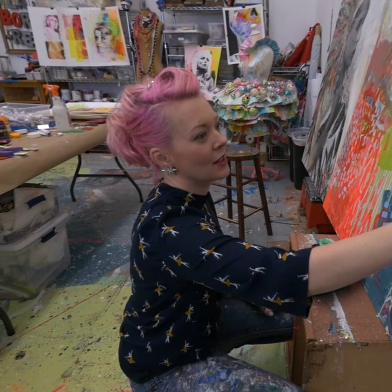 No one called Holly “princess” but she has always been an “artist” in their eyes. As a teenager, Holly was brought up by a hardworking and intelligent single mother, several witty aunts and a widowed grandmother; who worked in the fashion world while providing for ten children on her own. These were, and remain, her role models. “We weren’t fancy, but we knew what that meant and always did our best to add a little glitz and glamor to everything we did. We dreamed of glorious things and kept scrapbooks and visual wish lists that we shared with each other. My collection of daydreams has finally come to fruition and is a representation of each and every woman that has shaped my character." 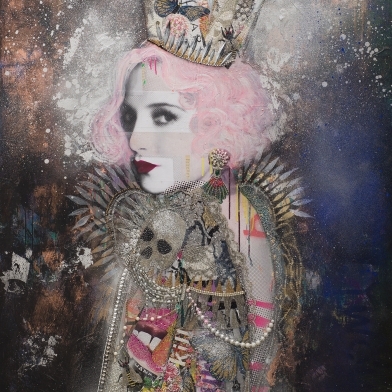 See behind the scenes and in-depth look at Holly Suzanne Rader's creative process that lead to her well received reception "The Killer Queen" at Detour Gallery.